Getting there: The drive to Machame gate is a about 45 minutes from Moshi and it crosses the cultivation zone. You can see numerous of villages, coffee and banana farms on your way to the gate. 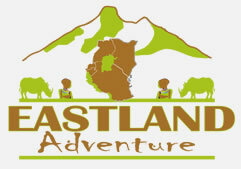 Once you arrive at the gate we do registration in Kilimanjaro national park log book, pay the entrance fee and get validly permit, after which hiking can start at 1800m. Climbing Machame in 7 days is very comfortable, and it provides enough time for acclimatization. No camp is skipped, and the route follows the pattern of hiking to a high altitude during the day and sleeping at a lower altitude at night. The first part of the 11km trail from Machame gate at 1800m to Machame camp follows a gravel road and is very easy to walk. It is a gradual ascend and not very steep. You cross the rain forest and on the way you might see Black and White Colobus and Blue Monkeys. After a short lunch break the trail gets steeper and the forest gets thinner. If the weather conditions allow it, you will get a nice view of your ultimate destination, Kibo Peak, at the end of the day. 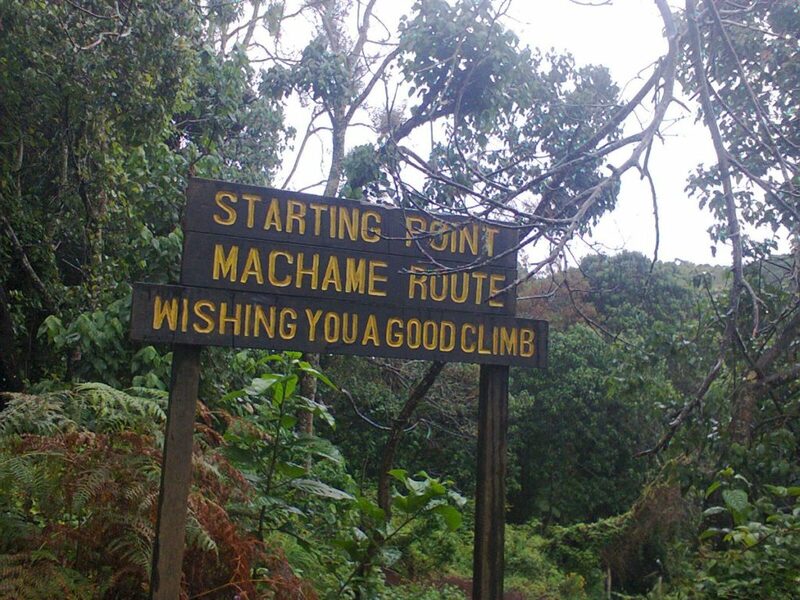 The way from Machame camp to Shira camp is only 5km long, but quite steep at the beginning. It leads through the moorland zone of the mountain. There are several viewpoints with a nice view of mount Meru, the forest you walked through on day 1, Shira and Kibo peaks. After reaching the camp you can optionally take a short walk of about 45 minutes to 1 hour for acclimatization and a nice view of the sunset. The way from Shira Cave to Baranco camp is 10km long and will take 6-7 hours, including lunch. At the beginning it will be a gradual walk to the junction point where we meet people from the Western routes. Join them and walk straight to Lava Tower (4600m), a 150m high volcanic lava plug that juts out of the side of mountain. The lunch will be at lava tower rest for few minutes then descend down to Baranco camp. From Baranco camp to Karanga camp it takes 3 – 5 hours and distance is 6km and you will cross Breakfast or Baranco Wall, which is 300m high. The peak of the wall is at 4200m. This part is challenging because the trail is narrow and the number of hikers, porters and guides is large. In some parts you have to use your hands for climbing. You will cross the famous places called Kissing Rock. Shorty before Karanga Camp you will cross the Karanga Valley at 3930m which is the last point where porters can fetch water. It will only take 3 to 4 hours to the cover distance of 4km from Karanga to Barafu Camp. It is gradual steep walk and (pole pole) slow walking is recommended for acclimatization. You will be in the alpine desert and at the left side you can see the Kibo Peak and few meters before Barafu you will cross the section occupied with Sedimentary rocks. Barafu camp is the dry camp but our team will carry water from Karanga valley. You will wake up around 11:00pm, for some tea and snacks and dress up warm for the summit. At 12:00am you will start your summit with steep rocks for about 2 to 3 hours, and then you will start crossing the zigzag area and keep moving to the crater rim and finally Stella point, 5756m around 06:00amThis is the most mentally and physically challenging portion of the trek. At Stella Point 5756m, you will stop for a short rest and will be rewarded with the most magnificent sunrise you are ever likely to see (weather permitting). From Stella Point, you may encounter snow all the way on your 1-hour ascent to the summit. At Uhuru Peak 5895m, you have reached the highest point on Mount Kilimanjaro and the continent of Africa. Faster hikers will see the sunrise from the summit. From the summit, we now make our descent continuing straight down to the Mweka Hut camp site, stopping at Barafu for short rest and brunch. The descend via Mweka route starts at Barafu camp via Millennium Camp 3797m. The way is steep, and it just takes only 2-3 hours to cover the 4km to Millennium Camp. You will pass from the alpine desert to the moorland zone. Once you reach Mweka Gate you have to sign out in Kilimanjaro national park log book, our guide will collect certificate for those who made successful climb to Stella Point and Uhuru Point. Then we will drive you via Mweka village to your Hotel in Moshi/Arusha for long shower and Kilimanjaro beer.